While environmental issues were not center stage in Mexico’s recent election, Mexico’s new president, whether he is yet aware of it or not, will inherit a tremendous opportunity for win-wins on environmental stewardship and combating the country’s pressing economic challenges through Mexico’s new climate law. The new General Law on Climate Change allows Mexico to deploy economically efficient mechanisms (like the development of emissions trading) that offer enormous opportunities for reducing the country’s greenhouse gas emissions and could truly transform Mexico into a 21st century, clean energy economy. The country’s presumed president-elect, Enrique Peña Nieto, and his administration will hold a great deal of power in both making this a reality – and making it their own. Outgoing President Felipe Calderón signed the legislation into law just days before June’s G-20 Summit in Mexico and the Rio+20 Conference on Sustainable Development. It sets out ambitious, but achievable, mitigation goals and establishes critical machinery for setting the country on a sustainable, low-carbon development path. But like many pieces of broad and potentially transformative legislation, much will be determined through the details of its implementation. While the law is landmark in many ways, some key elements – such as its national targets for reducing emissions and the option to develop a domestic emissions trading system – are not mandatory, nor does the law itself spell out specific sanctions for not meeting those targets. Among other ambitious, though some voluntary, measures, the General Law on Climate Change (LGCC) aims to increase renewable energy use; sets ambitious goals to curb domestic emissions; and establishes a high-level climate commission that is authorized to create a domestic carbon market. The law lays out clear federal authority to develop national-level policy, planning and specific actions for mitigation under a national climate change program. It provides a critical framework and a clear mandate for aligning national policies and programs across ministries and agencies in support of coherent mitigation and adaptation policy. It also requires the Government to develop short, medium, and long-term policy plans. Goal to increase renewable energy use: The Ministry of Finance and relevant energy agencies will develop a system of incentives to favor the use of renewable energy by no later than 2020; the law also establishes goals for increasing electricity generation from renewable sources, including an aspirational target, or goal, of 35% of electricity generation coming from renewable sources by 2024. Ambitious, economy-wide emissions-reductions goals: The law sets a goal of reducing Mexico’s greenhouse gas emissions to 30% below business-as-usual levels by 2020, and 50% below 2000 levels by 2050. These are the same as the aspirational, long-term emissions reductions (mitigation) goals Mexico pledged under the UN Framework Convention on Climate Change. National climate change information system: The law requires mandatory emissions reporting and the creation of a public emissions registry covering emissions sources from power generation and use, transport, agriculture, stockbreeding, forestry and other land uses, solid waste and industrial processes. Emissions trading system: The law authorizes the Environment Ministry to establish an emissions market that can include international transactions between Mexico and any countries with which it enters into emissions trading agreements. High-level climate change commission: The inter-secretarial climate change commission (CICC) established in the law will contribute to the formulation and approval of the national climate change policy. The CICC will be composed of heads of a range of ministries, including: Environment; Agriculture and Livestock; Rural Development, Fisheries, and Food; Health; Communications and Transport; Treasury; Tourism; Social Development; Governance; Oceans; Energy; Education; Finance and Public Credit; and Foreign Affairs. Climate change fund: The new fund will allow the federal government to collect and channel resources from domestic and international sources toward domestic climate change activities for reducing greenhouse gas emissions (mitigation) and adapting to the changing climate (adaptation). Expanding the National Institute of Ecology’s mandate to include a major focus on climate change: Much additional technical and policy work will be conducted under the new National Institute of Ecology and Climate Change (INECC), formerly the National Institute of Ecology. Overwhelming multi-party support in both houses of the Mexican Congress this spring bodes well for the future of the climate law, which was three years in the making. The votes that turned the bill into law came from all major parties – including large swaths of the presumed president-elect’s own party; the bill passed in the lower house 280-10 and the Senate 78-0. Now most of the policy and regulatory power will depend on the political will of a few key federal ministries – largely led by the Environment Ministry (SEMARNAT) and the Energy Ministry (SENER) – along with a broader array of ministries that will make up the climate change commission. Since its earliest iterations, the legislation has undergone changes that reflect compromises to address concerns of some industries over such comprehensive legislation. These changes mainly insert stipulations about consideration of cost impacts, economic well-being, and global competitiveness of the Mexican economy into decisions on climate change policy and programs. While these stipulations could provide barriers to some actions, they may also represent opportunities for real economic benefits. Many of the key, large-scale mitigation actions available to Mexico provide long-term cost efficiency and economic benefit, particularly in the energy sector. 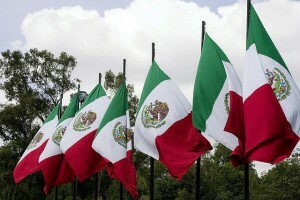 Mexico could cut the cost of its mitigation targets in half by instituting a domestic mandatory cap-and-trade system. EDF’s preliminary analysis based on the World Bank’s estimates indicates that Mexico could reach its 2020 target for one-half the anticipated cost by implementing a mandatory cap and allowing domestic carbon trading. Further, international trading of a portion of those reductions could result in billions of dollars of revenue, even before 2020. By instituting such caps, Mexico could take full advantage of these opportunities. Mexico’s power sector has significant potential for cost-effective emissions reductions. The potential for cumulative electricity sector emissions reductions through 2030 are estimated at 1.8 billion tons of carbon dioxide equivalent (tCO2e), according to the World Bank. The Bank also estimates more than 30% of the potential emission reductions at the relatively low price of just under $5/tCO2e could come from the power sector, and that number could jump to about 40% of the potential emission reductions if the price is just below $12/tCO2e. 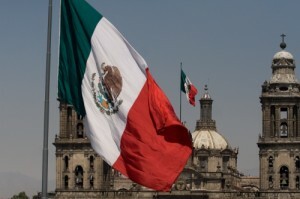 Mexico could reap huge energy cost savings from the law. The World Bank study predicts that Mexico’s investment in reducing energy consumption through 2030 would more than pay for itself, leading to an $8.2-billion net savings, or surplus, from lower energy costs. The net costs of reducing emissions within the sector up to 2030 and beyond could potentially be even lower given incentives provided through future international carbon trading. With vision and political will, the president-elect can implement smart environmental and economic policy, build a 21st-century green economy and create a legacy of real action on climate change and transformative development for Mexico. Mexico is one step closer to having a comprehensive law on climate change after its lower chamber passed the General Law on Climate Change late yesterday. Now the bill’s final passage is in a race against time before the congressional session adjourns at the end of this month. In the next couple weeks, the bill has to clear its last two hurdles to become law: 1) passage by the Senate, which overwhelmingly passed an earlier version of the bill in December, and 2) signature by President Felipe Calderón. A full analysis of the new bill, which passed 280-10 with one abstention, is still pending, but we highlight a few of the broader elements below. Reiterates in domestic law the country’s aspirational long-term greenhouse-gas emissions mitigation goals pledged under the UN Framework Convention on Climate Change to reduce its emissions 30% below business-as-usual emissions by 2020, and 50% below 2000 levels by 2050. Requests the Ministry of Finance and relevant energy ministries to develop a system of incentives by 2020 that favors the use of renewable energy. Establishes goals for increasing electricity generation from renewable sources, including an aspirational target of 35% of electricity generation to come from renewable sources by 2024. Enables, but does not mandate, the creation of a domestic greenhouse-gas emissions trading system. Several analyses, including from the World Bank, indicate that across the economy Mexico already has available abundant low-cost, or even profitable, opportunities for reducing carbon emissions. EDF’s own preliminary economic analysis shows a Mexican emissions trading system could both attract international investment and propel Mexico to achieve the country’s current carbon reduction goals at low cost, and possibly significant profit, if the system were to include an absolute carbon cap set near their current target and allow trading both domestically and in international markets. Binding domestic targets are the strongest way for Mexico, or any country, to ensure it will meet its mitigation goals and maximize the full potential of future international carbon markets. This legislation doesn’t go quite that far; however, it does put in place an important framework for emissions reductions from critical sectors; establish key authorities and institutional structures; and send a message to industries that would hopefully further incentivize future low-carbon development. We are excited and optimistic about Mexico’s continued momentum to attack climate change at the national level. This legislation is a strong step in the right direction toward a healthier climate in Mexico and around the world. And with so many opportunities to benefit economically from taking strong action on climate change, we are hopeful that Mexico will realize this law’s full potential and continue its record of climate leadership by further strengthening the rules in the future.